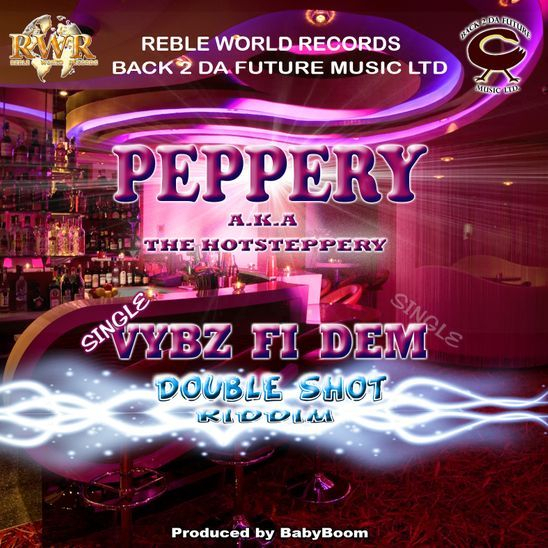 Peppery aka Hot Steppery creates a Vybz for the ladies with his single on the "Double Shot Riddim" expressing skills with his distinctive dynamic vocal delivery. Peppery not only rides the riddim with attitude, energy and swag, he also maintains all the elements that makes the ladies "Bruck Out" with his catchy hook. Available on all digital platform, click image for download link.